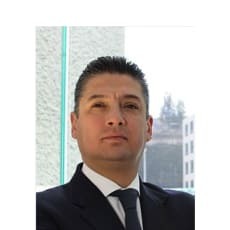 Hugo Hernández-Ojeda Alvírez is a leader in the labour and employment, pension and social security practice in the Mexico City office. He focuses on labour and employment, pensions, investigations and social security law. He began his professional career in 1991 at Barrera, Siqueiros y Torres Landa (now Hogan Lovells) in civil and immigration law. In 2001, he founded his own firm. Seven years later, he rejoined Barrera Siqueiros y Torres Landa as partner. He is the author of several articles published in Latin Lawyer, Abogado Corporativo, and International Comparative Legal Guides, among others. He is a member of the International Bar Association, the United States–Mexico Bar Association (former chairman), the National Association of Business Lawyers (ANADE) and the Mexican Bar Association.